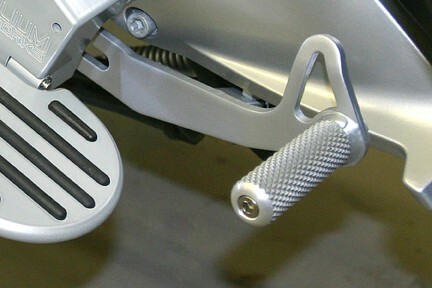 This custom made BMW motorcycle brake extension increases the length of the brake lever by more than 3/4". The body and retaining nut are CNC machined from 6061 aluminum then clear anodized. The bolt is rust resistant 18-8 stainless steel.